Jerry Lewis jokes with photographers on May 26, 1982, during the 35th International Movie Festival in Cannes. Jerry Lewis looks through the cine camera, on March 22, 1972, during the shooting of "The Day the Clown Cried," the film he directed at the Cirque D'Hiver in Paris. I knew Jerry Lewis slightly as a child, and later as a reporter. He gave my father a small role in the first film he directed, 1960's The Bellboy. My father's lines lasted half a minute on screen, but years later, Jerry heard my father was down on his luck and hired him to be a straight man for half a dozen of his club appearances. Jerry Lewis didn't give my father a handout or sermons, but a job. It was a way of telling him: you're still in the game. I remember Jerry as being grandly, almost maniacally generous. Someone on the crew complimented a red sweater he wore one day, and the next, everyone on the crew got the same red sweater from Jerry, in a gorgeous gold box from Beverly Hills. He'd fall on his rubber face to make any child laugh until our stomachs ached and we had to gasp; which wasn't always fun. Even as children we could see Jerry might be the one who really needed the laughs. The Bellboy, by the way, is a Jerry Lewis film that stands up well. Edouard Waintrop of the Cannes Film Festival, called it, "one of the funniest and most audacious films in cinema history, a series of gags without any sentimentality." Years later, when we profiled Jerry, he told us he was flattered but baffled by his fame in France. "I do schtick," he told us, "and they call it arrrrt. Go figure." Jerry became almost equally famous for hosting the Muscular Dystrophy Association Telethon for 45 years, and though in time his approach was criticized for being maudlin and patronizing, the telethons raised more than 2 billion dollars for research. He became an intense and accomplished dramatic actor in later years, and made a film in 1972 the world may never see. The Day the Clown Cried is about a clown, played by Jerry, who entertains children--into the gas chambers of a Nazi death camp. 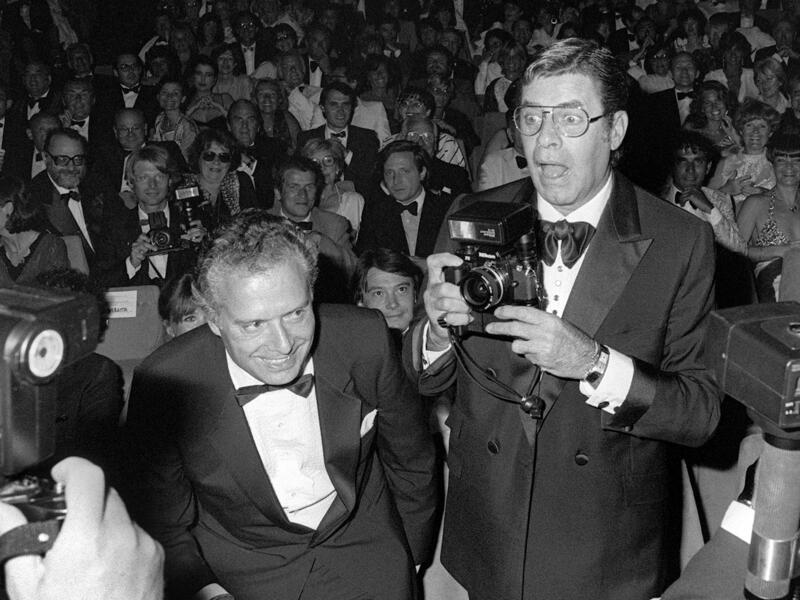 Jerry Lewis told us his film was bad—he was bad--and he didn't want it released. "I want to make people laugh and cry," he said. "Not gag." Jerry Lewis was a great clown. Not a fool. 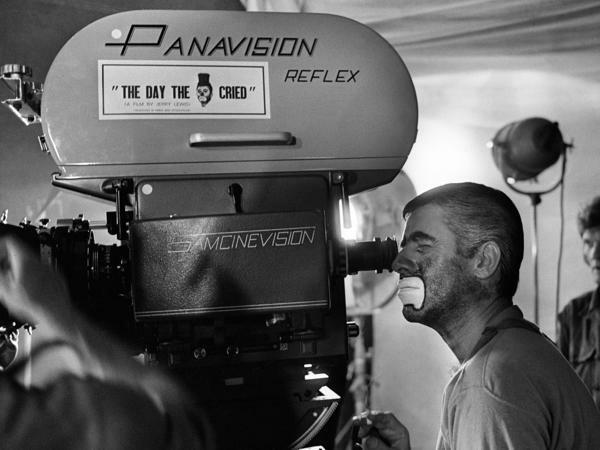 Jerry Lewis could make people laugh with a sneeze. My mother remembered being in an old freight elevator with Jerry at the Chez Paree nightclub in Chicago as it rose slowly in silence to the show floor. Jerry Lewis sneezed. He didn't twist his lips or roll his eyes. Jerry just sneezed. And the waiters, janitors and showgirls on the elevator erupted in laughter. When Jerry Lewis died this week at the age of 91, he was acclaimed as a clown, a genius, a humanitarian and egomaniac, all in the same breath. I knew Jerry Lewis slightly as a child, later, as a reporter. He gave my father a small role in the first film he directed, 1960's "The Bellboy." My father's lines lasted half a minute on screen. But years later, Jerry heard my father was down on his luck and hired him to be a straight man for half a dozen of his club appearances. Jerry Lewis didn't give my father a hand out or sermons, but a job. It was a way of telling him, you're still in the game. I remember Jerry as being grandly, almost maniacally generous. Someone on the crew complimented a red sweater he wore one day, and the next, everyone on the crew got the same red sweater from Jerry in a gorgeous gold box from Beverly Hills. He'd fall on his rubber face to make any child laugh until our stomachs ached and we had to gasp, which wasn't always fun. Even as children, we could see Jerry might be the one who really needed the laughs. "The Bellboy," by the way, is a Jerry Lewis film that stands up well. Edouard Waintrop of Cannes Film Festival called it one of the funniest and most audacious films in cinema history, a series of gags without any sentimentality. Years later, when we profiled Jerry, he told us he was flattered but baffled by his fame in France. I do shtick, he told us. And they call it arrrt (ph). Go figure. Jerry became almost equally famous for hosting the Muscular Dystrophy Association Telethon for 45 years. And though in time his approach was criticized for being maudlin and patronizing, the telethons raised more than $2 billion for research. He became an intense and accomplished dramatic actor in later years and made a film in 1972 the world may never see. "The Day The Clown Cried" as about a clown, played by Jerry, who entertains children into the gas chambers of a Nazi death camp. Jerry Lewis told us his film was bad. He was bad. And he didn't want it released. I want to make people laugh and cry he said, not gag. Jerry Lewis was a great clown, not a fool. JERRY LEWIS: (Singing) Forget your troubles and just get happy. You better chase all your cares away. Sing hallelujah. Come on, get happy. Get ready for the Judgment Day. The sun is shining. Come on, get happy. The Lord is waiting to take your hand. Transcript provided by NPR, Copyright NPR.